Dr. Zamarin accepts the following list of insurance providers. Select your insurance provider to see more details. I am a medical oncologist specializing in the care of women with gynecologic cancers, including cervical, ovarian, and endometrial cancers. I work closely with a multidisciplinary team of medical oncologists, surgeons, and radiation oncologists with a goal to deliver the highest quality care for our patients and their families. My clinical and laboratory research is focused on the development of novel ways to use the immune system to treat cancer, and I am involved in clinical trials evaluating novel immunotherapy drugs in patients with cancer. In addition, I have a special interest in genetically engineered oncolytic viruses, an emerging class of immune therapeutic drugs that have shown significant clinical promise in the recent years. 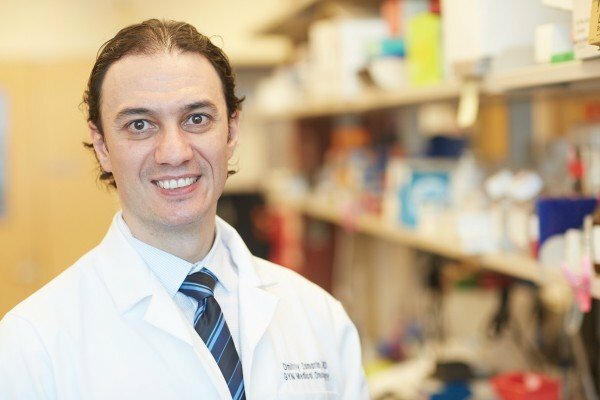 By manipulating the oncolytic viruses and the immune system, I’m exploring different ways to enhance the immune recognition of tumors and to develop novel treatment strategies that would be applicable to different cancer types. Visit PubMed for a full listing of Dr. Zamarin’s journal articles. Pubmed is an online index of research papers and other articles from the US National Library of Medicine and the National Institutes of Health.